CBS announced plans Monday to wrap up a show ahead of schedule. 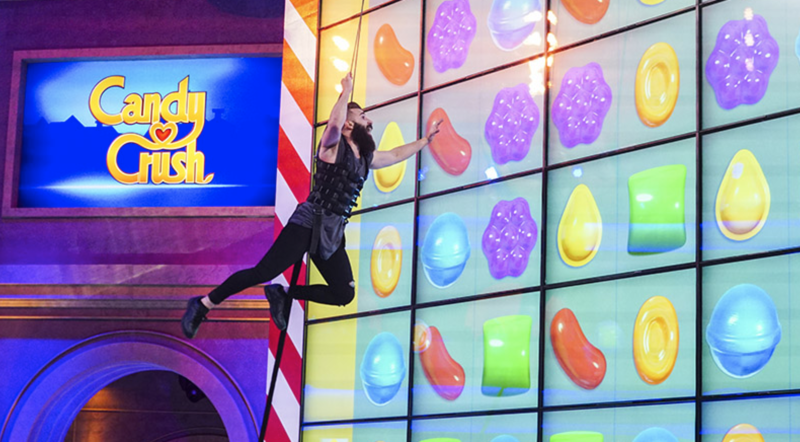 The network will close out the game show “Candy Crush” with a two-hour finale this Saturday, Sept. 2. The show has been airing on Sundays at 9 p.m., and had been expected to run through Sept. 10. “The game that has become a worldwide phenomenon comes to life as teams of two people use their wits and physical agility to compete on enormous, interactive game boards to be crowned the champions, on the season finale, Saturday, Sept. 2 (8:00-10:00 PM, ET/PT) on the CBS Television Network,” today’s announcement notes. Mother and daughter from Little Rock, Ark. Best friends from Chicago and Maywood, Ill. Mother and daughter from Florissant, Mo. And Weehawken, N.J.
How Many Viewers Watched Pirated Versions of the Mayweather-McGregor Fight?